Tandem Press Line is also referred to as mechanisation of a press line. 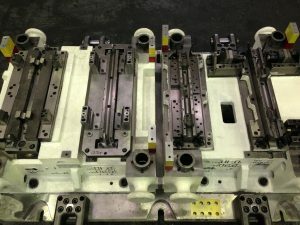 This includes parts transport within the press by means of feeder systems and robots as well as material feed and removal of the finished parts. Here at Cube Precision Engineering we do much more than Tandem Tooling. 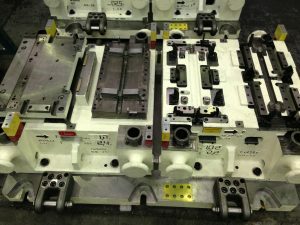 Our vast experience in the automotive, aerospace & defence and commercial sectors allows us to create, design and build a whole range of different types of tooling and fixtures to suit you. 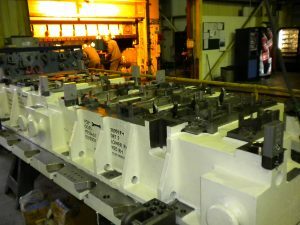 Our site in the West Midlands is at the forefront of press tool manufacturing and sub contract machining within the UK manufacturing sector. If you need support with your projects then please contact us.